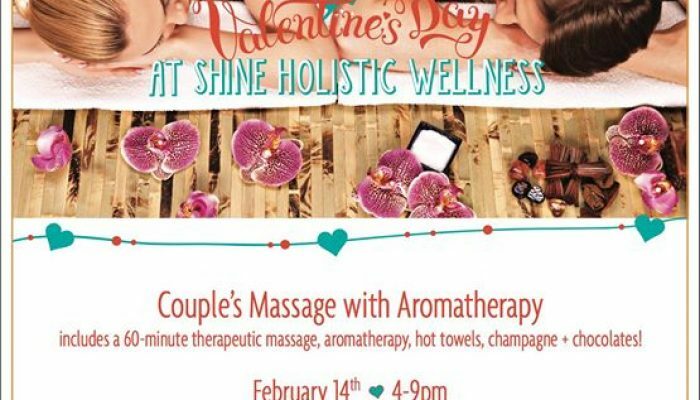 Make a romantic date for the Shine Massage “Valentine’s Day Couple’s Massage!” It includes a 60-minute therapeutic massage, aromatherapy, hot towels, champagne and chocolates. $165 per couple and reservations are necessary due to limited space. 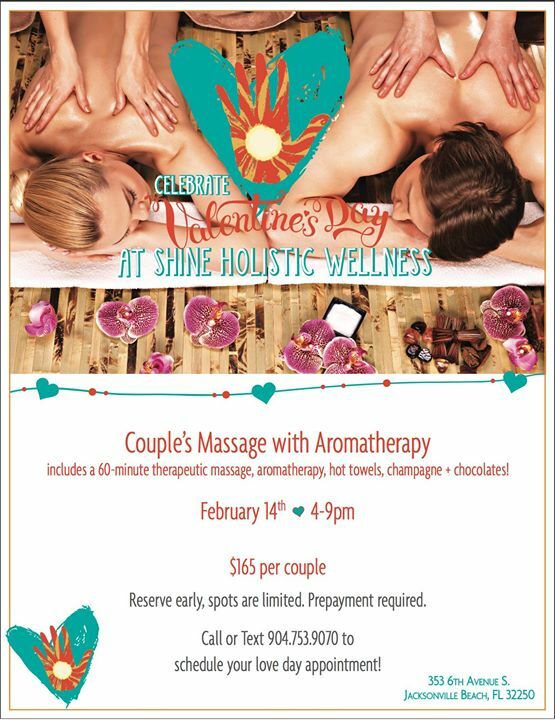 Call or text 904-753-9070 to reserve your spot!